Co-founder Jack M. Gill earned his bachelor's degree in chemistry and engineering from Lamar University in 1958. Four years later, he received his Ph.D. in organic chemistry from Indiana University. At 33, Jack founded his first business, which pioneered micro-processor-based scientific instruments and computers for chromatography laboratories. In 1972, Jack merged the company into Spectra Physics, a manufacturer of commercial, scientific and industrial lasers. Jack stayed on with Spectra for nine years as an Executive Vice President, managing a five-division group of laser and instrument companies. In 1981, Jack founded Vanguard Ventures, a high-tech venture capital firm in Palo Alto, California. Jack worked as a managing general partner of Vanguard Ventures for 20 years. Vanguard’s first five funds, totaling $155 million in capital, returned over $1 billion to investors, ranking it among the top VC returns. 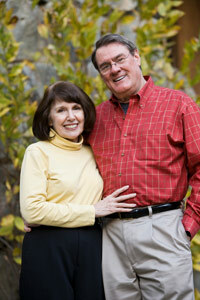 In 1998, Jack and Linda established The Gill Foundation of Texas. In 2000, Jack joined the faculties of Harvard Medical school and MIT and served as Senior Advisor to the CIMIT program. Since 2007, he has been Professor of the Practice of Entrepreneurship at Rice University. Jack has taught scientific, medical and entrepreneurship courses at 12 major universities. He is now working on converting his experience and the course materials into several books.